These values are the amount of nicotine per ml of juice. Some companies represent this as a percent per solution. For example, 1.2% instead of 12mg/ml. The amounts are the same, just displayed differently. What strength Nicotine should I start vaping with? This is a common question and unfortunately there is no clear-cut answer as it varies from person to person. However, we can give some basic pointers. Taste – To some, liquid nicotine has harsh taste and the higher you go the more it will affect the taste of your liquid. Stick with low- to medium-strength juice if you find the taste higher nic levels too harsh. Throat Hit – High nicotine can give a powerful throat hit, which is something many ex-smokers crave. However, juice with a high level of PG can also provide a satisfying throat hit (you can read more about this here), but know that high levels of PG with low nicotine likely won’t satisfy for what many ex- or current-smokers are after. Optimizing a preferred ratio of PG/VG and nicotine will ultimately be a personal journey. Nicotine addiction – If you are/were a heavy smoker, then it might be tempting to go for the high nicotine. However, vaping is a substantially different sensation from smoking and this might not be necessary. Level of usage – If you vape sparingly throughout the day, for example, then high nicotine might work for you. If you vape like how you smoked cigarettes, taking a series of puffs one after the other, then the sudden consumption of high nicotine could cause feelings of dizziness and nausea. Many people prefer to vape in a more casual manner, taking a draw more often and for longer. This method is geared more towards low nicotine levels, and indeed many seasoned vapers use juice with low, or even zero, nicotine. In summary, we suggest beginners lean towards low nicotine juice even if they classify themselves as heavy smokers. That allows you to take more drags without undesirable effects. If you are determined to go for high nicotine, we recommend you sample a bottle of low strength juice too, for comparison. Should I adjust my nicotine intake over time? As said above, many vapers eventually reduce their nicotine level. Improved taste is a one reason for this, but it also helps you find your ‘sweet spot’ easier. If you crave more nicotine, you can simply vape more until you feel satisfied, but if you consume too much you may feel unwell for a short while. If you want to reduce your nicotine consumption, do it gradually over time – if you start at a medium level, then try to reduce it to low-medium after a month or two, and continue until you reach the lowest level with which you are comfortable. Eventually you may find you don’t need nicotine at all, and can shift to zero strength juice. Of course, if you feel the juice isn’t satisfying your nicotine cravings you can shift to a higher strength but keep in mind the potential drawbacks and adjust your overall consumption. There is a common perception that nicotine is a lethal poison and should be treated with kid gloves, if at all. There is some truth to this, but evidence suggests that the risks are overstated, particularly when dealing with the nicotine in e-juice. For over a century, textbooks and scientific publications have listed the lethal dose for adults at 30-60 mg. 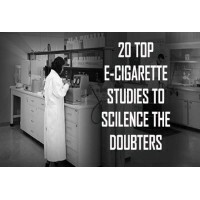 However, the origin of this claim is disputed, and a 2013 study amended the fatal limit to 500-1000mg (but it is inadvisable for anyone but trained professionals or scientists to handle nicotine at such concentrated strengths). These levels are far, far beyond the amount of nicotine contained in the average bottle of e-juice. Dizziness and nausea are common symptoms of a mild nicotine overdose. But as with consuming too much caffeine and alcohol, the answer is to stop your intake, and reduce the strength next time. But the onset of those nicotine effects are so obvious, it is difficult to go beyond the minor inconvenience stage when vaping. 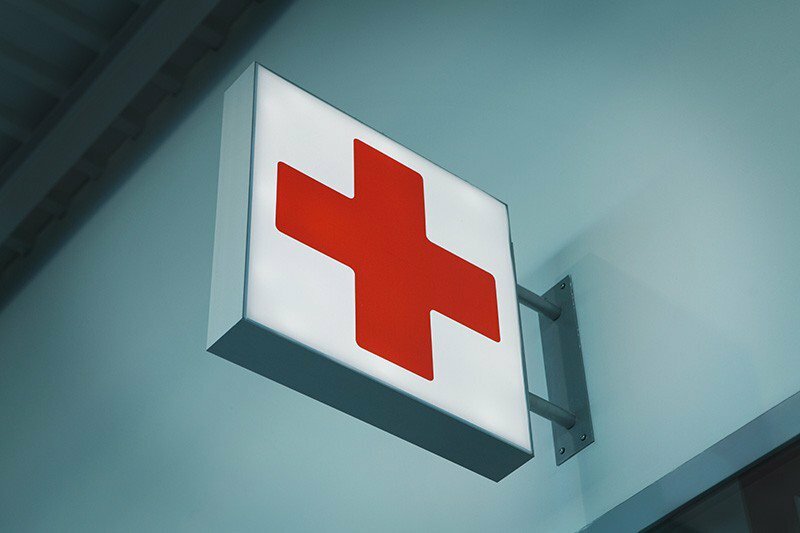 Tragic cases associated with the handling of nicotine are rare, considering the number of vapers worldwide, particularly in comparison to fatal overdoses from over the counter medication such as paracetamol, but they highlight the importance of keeping your vaping equipment out of reach from children and pets. Be careful with your e-liquid, but don’t fret if you spill a drop of e-juice on your skin or get occasional droplets in your mouth from vaping. 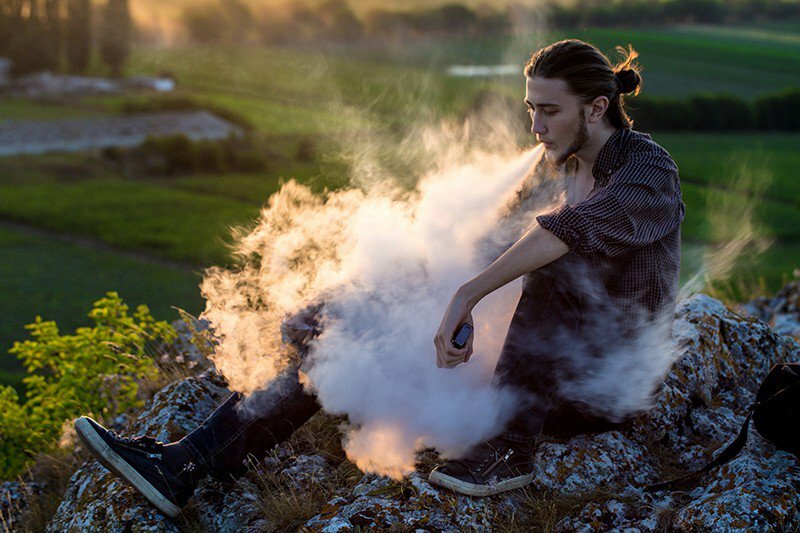 The level of nicotine present in commercial e-juice shouldn’t poison you or damage your skin – simply wash it off or spit it out if you are concerned. The dangers of nicotine prove a more pressing issue for those who make their own DIY juice, which we will address in a future article. What is the vaping equivalent of smoking a cigarette? This is a common question and again, isn’t easily answered. One study using automated smoking machines suggested less nicotine is delivered by vaping than from smoking, but admitted this may not be accurate. The variety of vaping technology and individual inhalation techniques means there is no consensus on how much nicotine is absorbed during a single drag. More studies are needed to accurately measure this. Until then, the only advice is to, as with caffeine, try out different variations to find what suits your needs and stop vaping once you feel satisfied. Take consolation that no matter what, you’re consuming far less than the 4,000 chemicals typically found in tobacco smoke. Sub-ohm Vaping – If you want to try sub-ohm vaping then you may need to rethink your nicotine level. As well as an increased level of VG you will likely need to reduce nicotine, as the inhalation from a sub-ohm vape is more powerful than standard vaping. As you consume more juice in a single hit so it follows that you take in more nicotine, leading to the risk of mild nicotine overdose. Juice for sub-ohm vaping generally comes in one of three strengths, 0mg, 3mg and 6mg. You can sub-ohm with higher than this, but, be forewarned, it will likely be unpleasant for a lot vapers. Deterioration – PG, VG, and nicotine tend to degrade over time, with nicotine degrading a bit more rapidly. Flavouring also fades, but to a lesser degree. 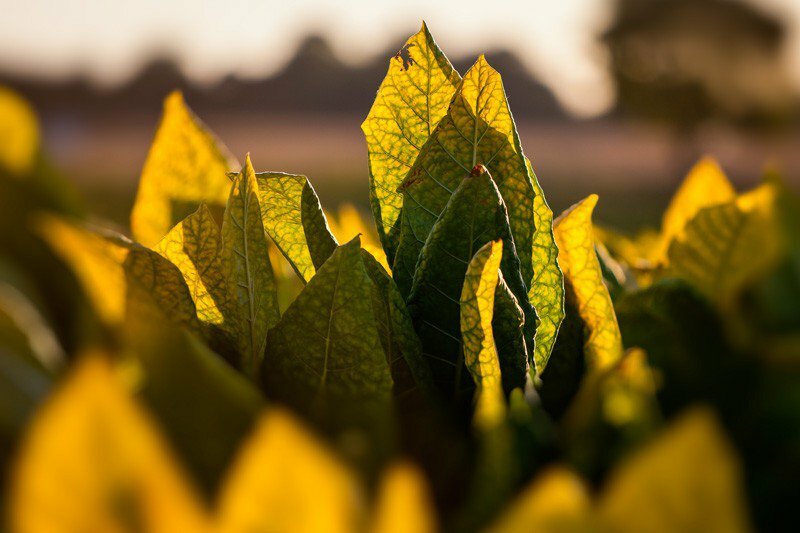 As time passes nicotine will turn a yellowy-brown colour, and take on a peppery, stale odour. But many vapers vape e-juice that has aged for long periods, since the nicotine in e-juice isn’t at a high enough level to catastrophically alter the taste. When in doubt, throw it out. But if it tastes good, go for it. Side-effects – While vaping means less exposure to harmful chemicals found in smoking tobacco, it doesn’t mean nicotine is totally harmless in and of itself. There is a general consensus (although it’s increasingly debated) that nicotine is addictive; it is classed as moderate-low for physical dependence and moderate-high for psychological dependence. It has been shown to raise blood pressure, elevate heart rate (both at the time of consumption) and is not recommended if used during pregnancy. Conversely, it also has performance-enhancing abilities, particularly when it comes to attention, memory and motor skills. f you look closely, the pros and cons closely mirror the effects of caffeine. 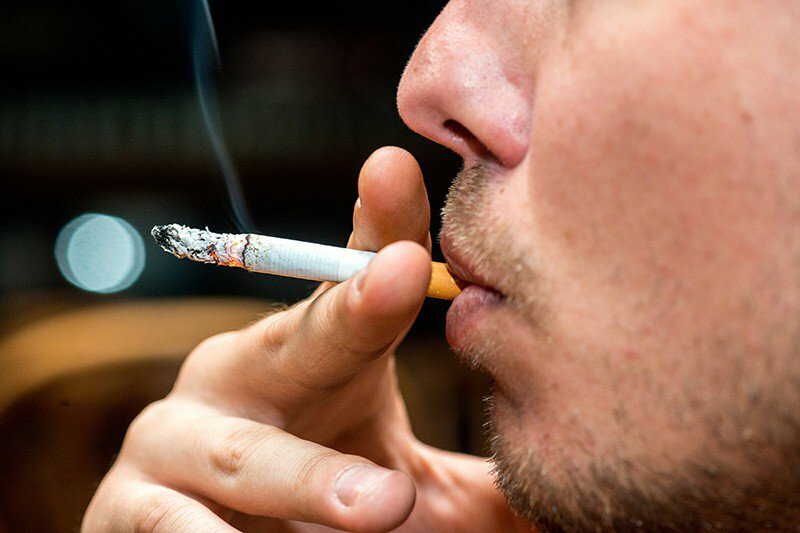 Impact Time – Nicotine from cigarette smoke reaches the brain in under 10 seconds, and it reaches the central nervous system in under five minutes. However, anecdotal evidence suggest the particle size of cigarette smoke is much smaller than those found in vapour from e-juice. This implies the absorption of nicotine from vaping can take longer than smoking, perhaps up to 30 seconds before it reaches the brain. It is often suggested that smoking causes a harder faster nicotine hit, while vaping has a gentler, slower effect. Again, more studies are needed to get a true picture of this. 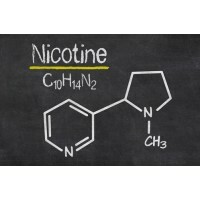 Time In System – As with smoking, this depends on a number of circumstances such as metabolism and length of time spent as a smoker or vaper (and the amount/strength of the nicotine consumed), but traces of nicotine (via its metabolite, cotinine) is usually detectable for 48 to 72 hours after your last intake. Cotinine tests can be purchased cheaply if you want to check for yourself. Nicotine has a tendency to be demonised but if used sensibly it can be no more harmful than caffeine, and just as beneficial. People new to vaping shouldn’t be anxious about e-juice containing nicotine as the dangers can be overstated. At the same time be careful with how you treat it, and much like alcohol, find your satisfaction level and use at your own risk.